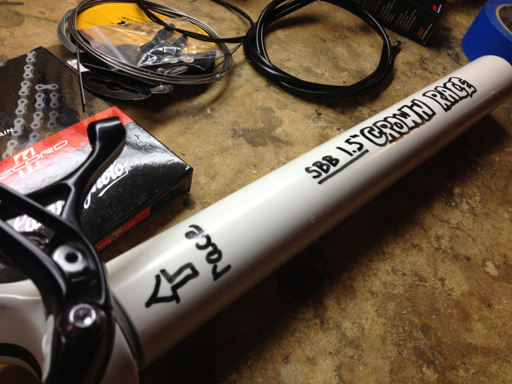 stickboybike: Make your own crown race setting tool for tapered steer fork. 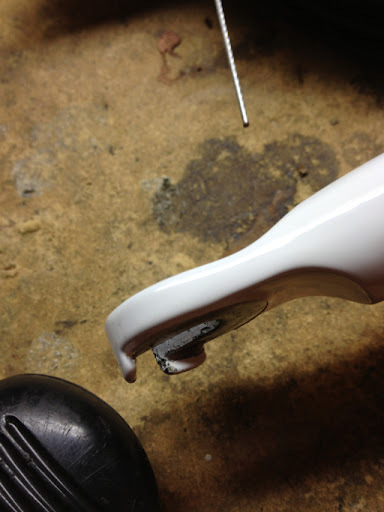 Make your own crown race setting tool for tapered steer fork. A local cyclist delivered his box of parts, wheels and new frame this week. Another Campy build, third one this month and for as long as I've known this guy, that's the only group I've seen him ride. Consistency. 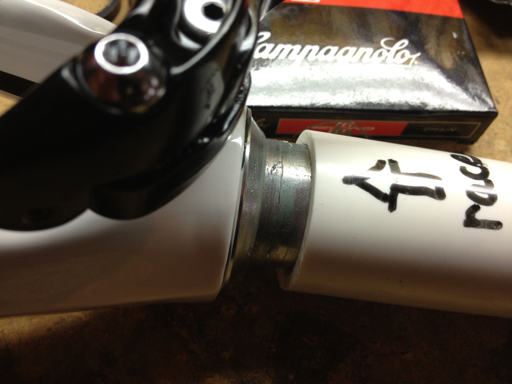 I start to work quickly and pull the fork off the bike in order to cut the steer tube. While the fork was sitting on the bench and realizing I do not have a crown race setting tool for a tapered steer tube, I'm taken back by the 'lawyer tabs' on this fork. They.are.huge! The old Christmas cartoon of baby New Year and his huge ears, came to mind as I marveled at their twice the normal size. Not having a parts supplier at my disposal, I'm momentarily stunned on how I'm going to install the 1.5" bearing race. The 1 1/8" Park Tool version obviously won't slide down far enough and tapping on the race with a screwdriver is not my style. With a quick trip to the local big box hardware store, I nabbed a $4.00 section of 1 1/4" PVC tubing, with an inside diameter 1mm larger than the tapered steer tube (34mm). I used a radial arm saw to cut the tube length down to the size of my standard Park Tool crown setting shaft. This power saw will ensure the ends of the plastic pipe are cut perpendicular and set the race correctly in place; straight. Ed Note: this method will only work for a steer tube that isn't flared, starting two inches above the fork crown- like most forks. For those you'll need the Park Tool CRS-15. Man, this is a great story. I was surfing the web trying to find a way to install a crown race on a new set of rigid forks and ran across this article. I was getting ready to spend 70 bucks for the park tool CRS-15. Ah, thanks man for the thumbs up. Enjoy the miles!